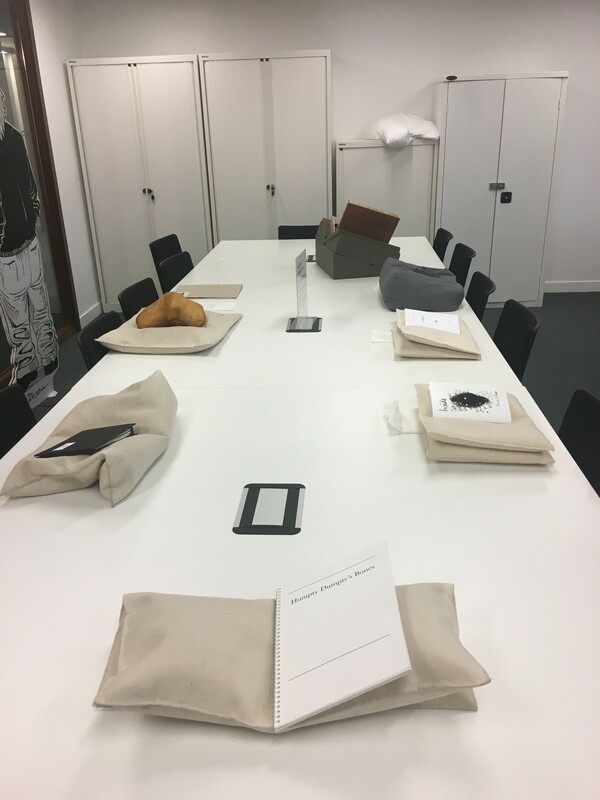 MA Medical Humanities seminar using Artists Books, 2017. Martha A. Hall’s work ‘Five Doctors Speak’ is on the lower left. Martha A. Hall (1949 – 2003) was a poet, teacher, businesswoman and artist based in New England. 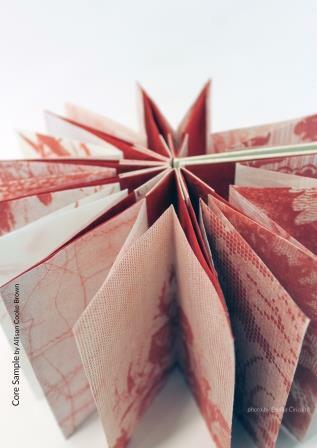 Hall began making artists’ books in 1996, when she realised that her breast cancer diagnosis could be explored and communicated through creative means. 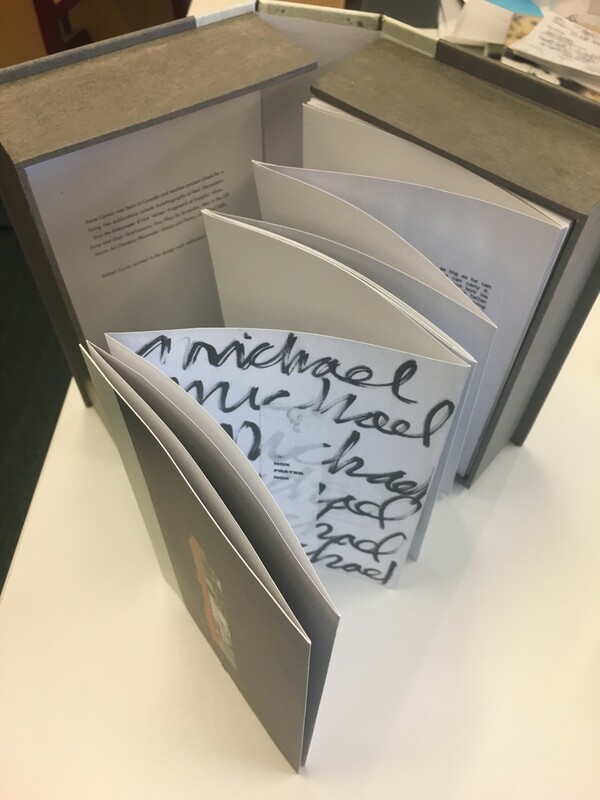 Hall’s work explores lived experiences of illness, and she left her books to public institutions in order to spark dialogue between patients and medical professionals, as well as allowing others to express their feelings around medicine, health and healing. 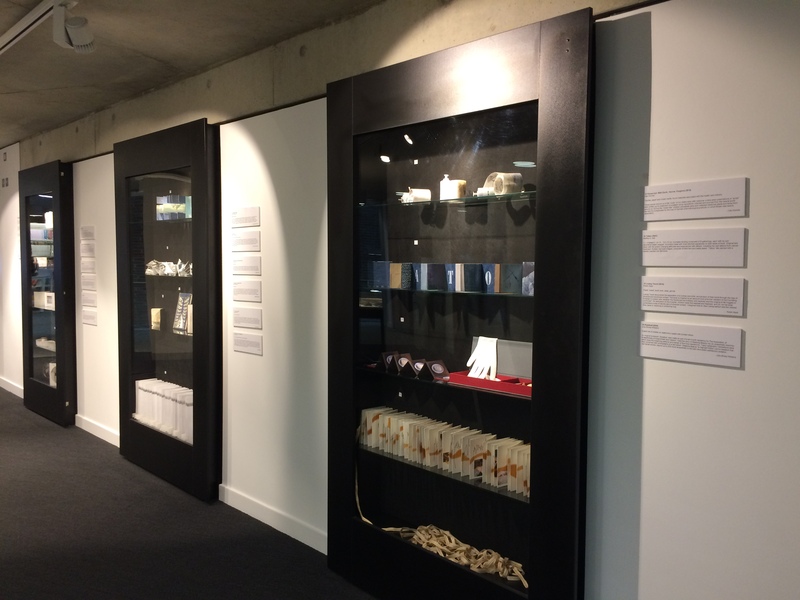 In 2016, Dr Stella Bolaki and Egidija Čiricaitė curated an exhibition of artists’ books, called Prescriptions, at The Beaney House of Art and Knowledge in Canterbury. The exhibition featured several of Hall’s works, as well as other books by artists exploring lived experiences of health. Many of these books (including two of Hall’s) have been deposited to Special Collections & Archives here at Kent. Martha A. Hall’s books leave an extraordinary legacy, inspiring us to think about the relationship between our bodies, illness and the wider world. 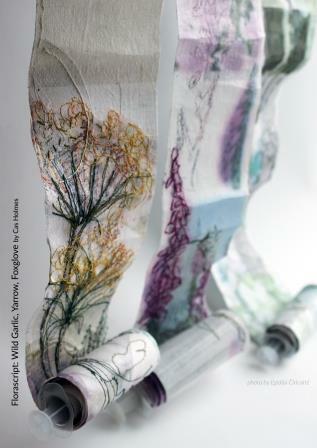 Not only does her art express how it feels to live with cancer, but it challenges notions of how narrative is told. 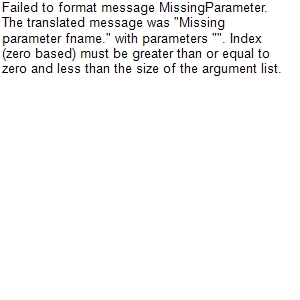 You can find more information about Martha A. Hall here and discover Dr Stella Bolaki’s research project here. Linda Smith (1958 – 2006) was a comedian, writer and broadcaster best known for her work on radio shows ‘Just a Minute’ and ‘The News Quiz’. Born in Kent, her archive was deposited in Special Collections & Archives by her partner Warren Lakin in 2013 and is the founding collection of our British Stand-Up Comedy Archive. Smith’s archives give a unique insight into how stand-up comedy is created, recorded and promoted – and asks many questions of us in terms of how we collected and preserve material that is by its very nature ephemeral and improvised. Every year, the University of Kent holds a lecture in memory of Linda Smith where we invite a guest to speak about comedy and its relation to social and political commentary. 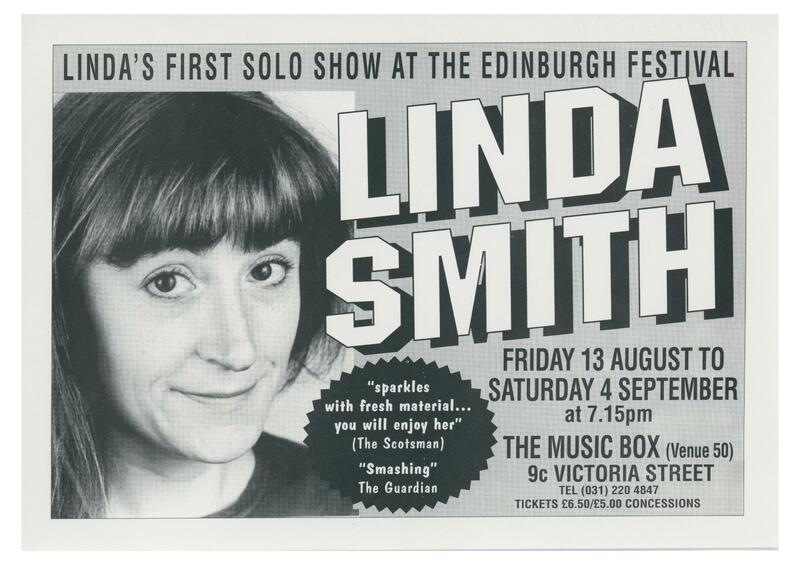 The event also celebrates Linda Smith’s life and work; previous events have featured Mark Thomas, Andy Hamilton and Susan Calman. Stay tuned for details of this year’s speaker! 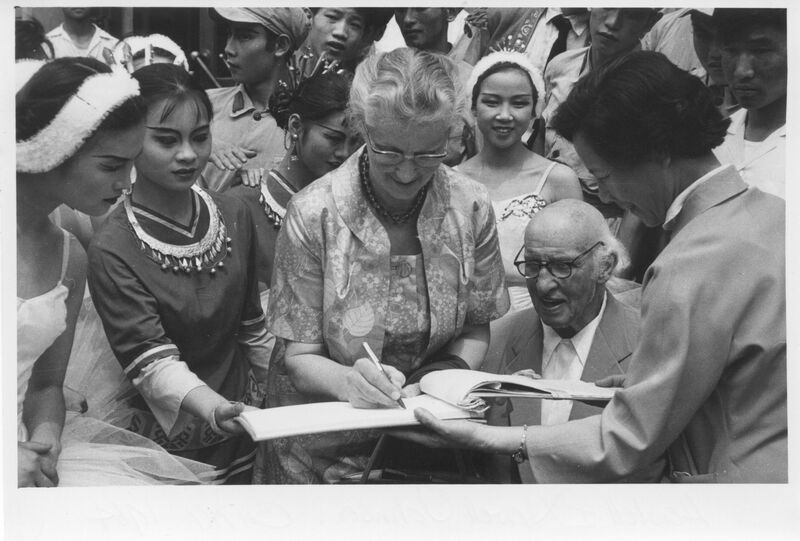 CH6422: Black and white print of Hewlett and Nowell Johnson at the Peking Dance School, China 1964. Nowell Mary Edwards Johnson (1906 – 1983) was a Canterbury-based artist. She is most well known as the wife of the ‘Red Dean’ of Canterbury Cathedral, Hewlett Johnson, whom she married in 1938. Nowell supported Hewlett’s passion for socialism, illustrating books with him (‘The Socialist Sixth of the World’, 1939) and travelling to many communist countries. Her diaries, which are held in Special Collections & Archives as part of the Hewlett Johnson papers, give a fascinating account of her travels to China, Hungary and Russia as she records in great detail her activities, the people she met, and the countries themselves. Nowell’s diaries are also beautifully illustrated – often in colour – as she draws scenes from her travels. You can see her determination to support Hewlett as well as her compassion for others and desire to make a genuine difference in the world. Read more about Nowell’s life here and find out more information about the Hewlett Johnson papers on our website. Valerie Eliot (1926 – 2012) was hugely influential in editing and publishing her late husband T.S. Eliot’s work after his death in 1965. Valerie had been a huge fan of T.S. Eliot’s writing since she was a teenager (there was an almost 40 year age gap between the couple) and was determined to work with him. After T.S. Eliot died, Valerie inherited his shares in the publisher Faber and Faber and edited the 1974 facsimile edition of ‘The Waste Land’, which includes poet Ezra Pound’s annotations to Eliot’s manuscript. 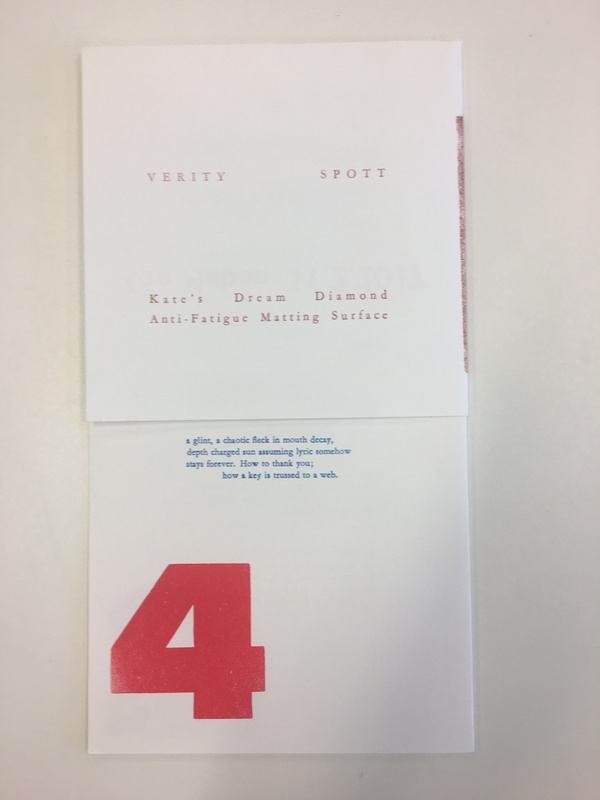 Our Modern Firsts – Poetry and Prose Collection includes many pamphlets of poetry from small presses which have been purchased thanks to a donation by Valerie Eliot. Eliot College on campus is, of course, named after T.S. Eliot and the University was lucky enough to benefit from Valerie’s philanthropy (including a bust of T.S. Eliot by Jacob Epstein) up until her death in 2012. Valerie Eliot’s work in securing her husband’s legacy is vital, but her generous gifts to the University have made a lifetime impact. Catherine Crowe (1790 – 1872) was a Kent-based author who spent a portion of her life in Edinburgh. 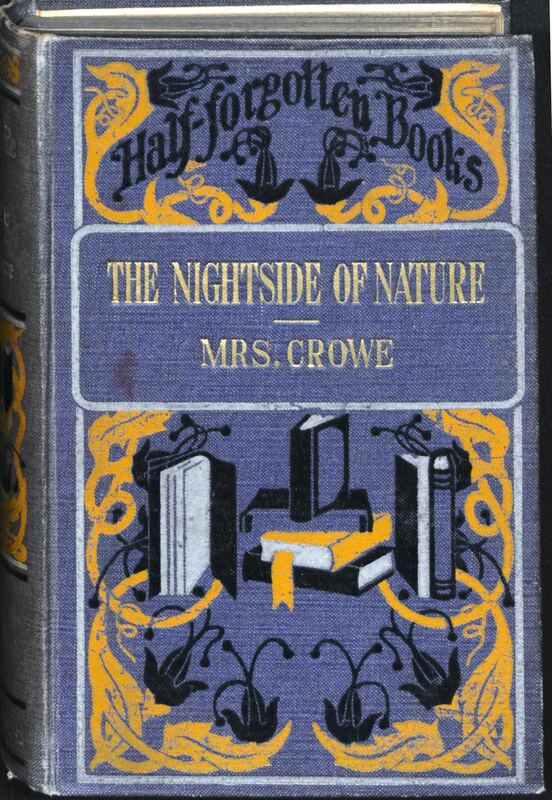 Crowe’s fame was established through the publication of ‘The Adventures of Susan Hopley’ (1841, turned into a play in the same year) but it is her later supernatural work that’s garnered long-term recognition, particularly the novel ‘The Night-Side of Nature’ (1848). Crowe had a breakdown in 1854, and after this her creative output was little; however, she was one of the most popular Victorian writers during her life, and it’s a great shame she’s not been recognised widely since. The University of Kent holds one of the few archives of material relating to Crowe; our Catherine Crowe Collection consists of material relating to Crowe collected by the researcher Geoffrey Larken. Larken wrote a draft autobiography of Crowe as a result of his research, but couldn’t find a publisher for it. In a typical archive twist, it’s now one of the most frequently asked-for items in our collections, with researchers travelling across the world to see it. What would a list of SC&A women be without mentioning Reg Smythe’s eponymous long suffering character Flo, wife of the eternally lazy Andy Capp? Flo and Andy are part of one of the most popular British comic strips of all time; it’s been running in the Daily Mirror since 1957. Even though creator Reg Smythe died in 1998, artist Reg Mahoney has taken over as artist. Living in Hartlepool, Andy and Flo are working-class characters. Although there’s debate over how they represent stereotypes of everyday people (Andy doesn’t work and prefers to spend all his time in the pub), the strip has been hugely popular both in the UK and across the world. 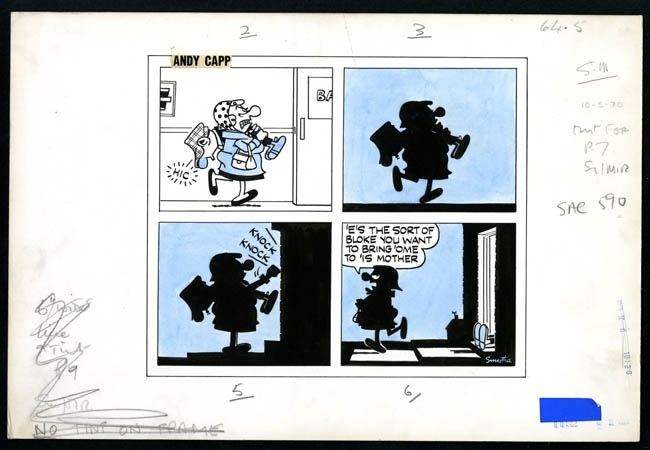 The British Cartoon Archive holds over 4600 Andy Capp artworks, which are requested regularly for exhibition across the UK and world. There was even a musical version of Andy and Flo’s adventures, which was revived in 2016. In 2002, Lynne Parker established the Funny Women comedy group, which aimed to support and celebrate women working in comedy. The group runs workshops, networking events, comedy classes/open mic nights, and an awards ceremony every year. 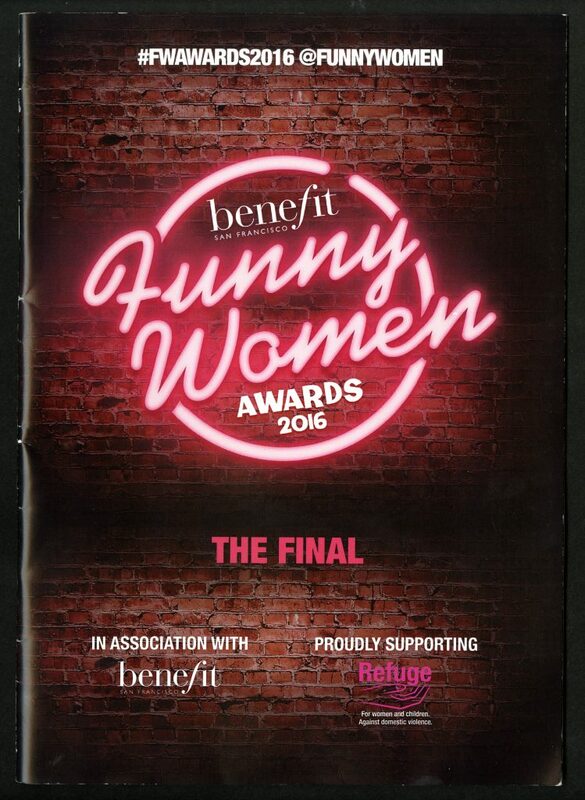 If you’ve heard of Bridget Christie, Susan Calman, Katherine Ryan, Andi Osho, Kerry Godliman, Sara Pascoe, Zoe Lyons, Roisin Conaty, Holly Walsh or Sarah Millican then Funny Women has done its work – it has supported all of those comedians, plus many more. 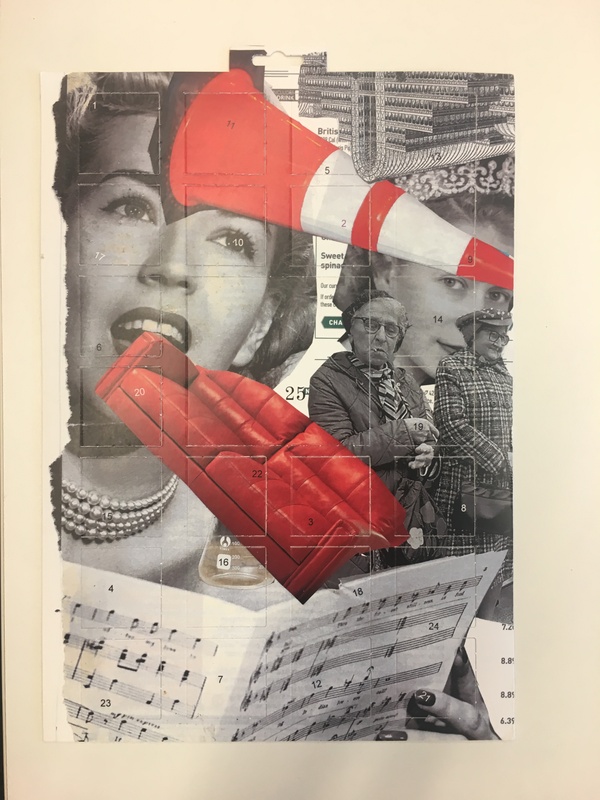 In 2016 Lynne donated material relating to the Funny Women community to the British Stand-Up Comedy Archive; it was catalogued last summer and everyone is welcome to view it. Lynne has also been a guest on our Stand-Up Comedy podcast discussing the work of Funny Women, so give it a listen! There are so many fantastic women poets in our Modern Firsts Poetry collections, it’s impossible to pick just one out. We could focus on famous writers such as Sylvia Plath and Virginia Woolf or more contemporary poets like Denise Riley. We could look at the revolutionary, intersectional verse of Audre Lorde. 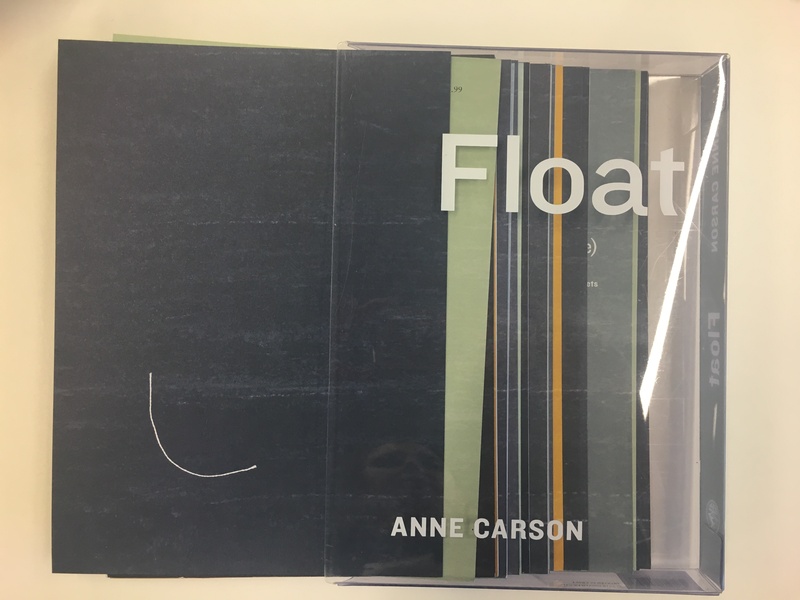 We could discuss the political-personal work of Grace Lake or the genre-defying literature of Anne Carson. We could also look at the role smaller printing presses, like the Crater Press, have in disseminating women’s writing and the space it creates for new dialogues. Instead, however, how about you come in and explore these wonderful writers? Other utterly fantastic women in the archives include: Josie Long (stand-up comedian), Grizelda (cartoonist), Nina Boucicault (actress), the many women of the Melville dynasty, Monica Bobinska (involved in the Meccano Club) and, of course, the many many actresses in our theatre collections. As ever, do get in touch if you’d like to know more or visit us. Happy International Women’s Day!